Hon. Gerard L. Goettel, United States District Court, S.D.N.Y. 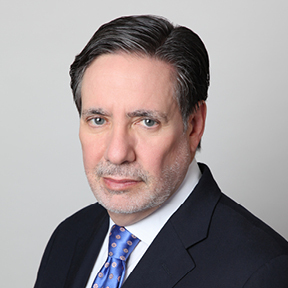 In more than 35 years of experience, Edward H. Burnbaum, Esq. has represented major players in high-profile acquisitions. His substantial transactional expertise and business acumen are well known. By virtue of his deep understanding of the myriad issues affecting complex transactions, and his practical, cost-effective approach to difficult problems, Ed is sought out by businesses and individuals on both the state and national levels, as well as by start-up, small, and mid-size businesses in need of corporate representation, guidance in governance issues, and transactional work. Ed also serves as outside general counsel to several companies in the healthcare, real estate, energy, and power industries. as transaction counsel in a $940 million and $120 million CMBS tiered debt financings involving 186 properties. as the option seller of one of the largest portfolio of skilled nursing and other care facilities in the United States, in a complex and multifaceted transaction. as the finance and investment partners for a portfolio of real estate underlying a group of 35 facilities located in Texas and Pennsylvania. as transactional counsel in connection with a complex civil dispute concerning the control of one of the nation’s largest healthcare real estate, long-term care, and ancillary companies. as finance counsel in connection with HUD and conventional refinancing totaling several hundred million dollars. as transaction counsel in a $128 million bridge to HUD financing. as transaction counsel in the divestiture of properties in several states. roll-up with Trident Healthcare in a transaction valued at approximately $800 million. purchase of the 11-state SolAmor Hospice spin-off in conjunction with the acquisition of Sun Healthcare by Genesis Healthcare. acquisitions of sizeable hospice companies in Pennsylvania, Massachusetts, and New Jersey. initial private equity raise, all subsequent secondary raises, and a GE $65 million credit facility. Represented the largest psychologist services company in the U.S. in its merger with a private equity holding company. purchase of various ancillary service providers, including diagnostic and portable X-rays, ultrasound, and labs. reorganization and sale to private equity groups Audax and Frazier Healthcare in a transaction valued at $150 million. Represents various owners of long-term healthcare and assisted living facilities in New York, New Jersey, Pennsylvania, Florida, Massachusetts, Kentucky, Indiana, Ohio, Michigan, Nevada, Texas, Nebraska and Washington D.C. handling acquisitions, divestitures, and various real estate and asset-based financings, including REIT and HUD-insured financings. Served as Northeast counsel to a national healthcare REIT in connection with a multistate, cross-collateralized lending facility to the owner-operator of long-term care facilities. Represented the investors in the purchase and tax-driven divestiture of 11 long-term healthcare facilities from the most prominent healthcare owners in Cleveland, including the negotiation of a multi-tiered debt structure (purchase price more than $150 million). Represented a large regional payroll services company in an assets sale to a private equity fund. Represented a New York City-based bank in connection with various asset-based lending facilities to New York State long-term care facility operators.